October 6, 1981 –The fireboat Fred A. Busse makes its way down the Chicago River for the last time, headed for a south side dry dock where it will be retired. 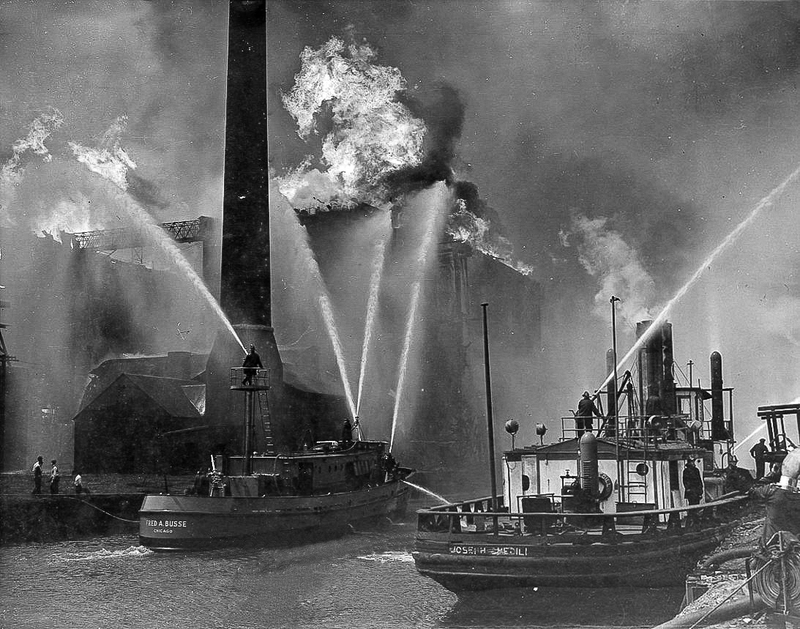 When the boat came to Chicago in 1937 from Bay City, Michigan where it was built, it was hailed as the largest fireboat in existence. The boat, 92-feet long and weighing 157 tons, continually proved itself over the years. Just two years after the Fred A. Busse came to the city, its crew pumped 32.5 million gallons of river water for over 50 hours as it fought the four-million-dollar fire at the Rosenbaum-Norris grain elevator on the South Branch. 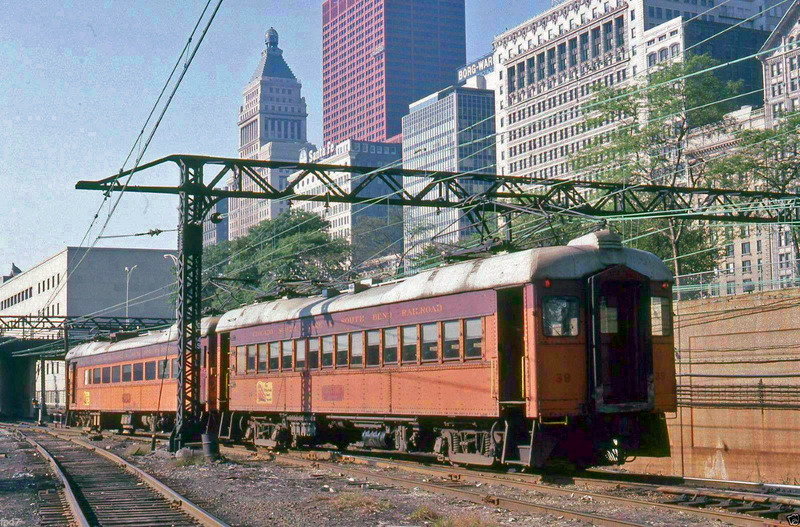 The Fred A. Busse still exists. In fact, you can actually ride the boat. 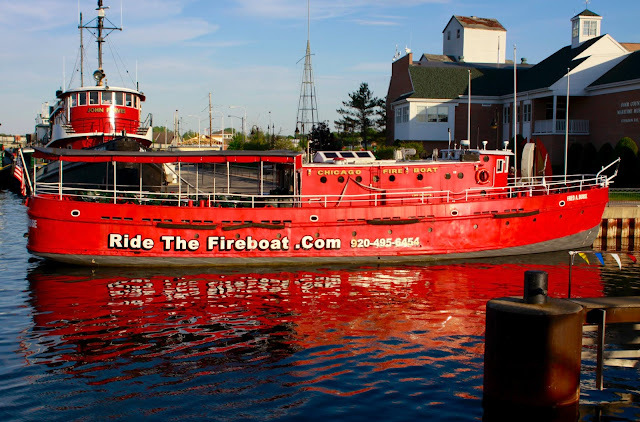 Head up to Door County, Wisconsin to Ride the Fireboat in Sturgeon Bay and book yourself a nice cocktail cruise on an authentic part of Chicago history. The top photo shows the fireboat at the Rosenbaum-Norris fire. Below that is the Fred A. Busse in its latest incarnation. October 6, 1906 – The Chicago Daily Tribune reports that W. A. Gardner, the Vice-President of the Chicago and Northwestern Railroad, has announced the company will build a new railroad station between Madison, Lake, Canal and Clinton Streets. 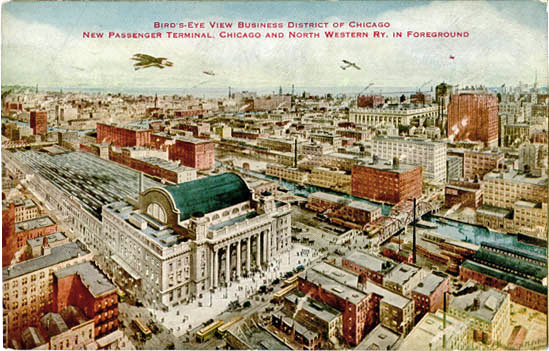 The paper says that the new station “will take its place among the great transportation centers of the world.” [Chicago Daily Tribune, October 6, 1906] With two-thirds of the property for the new station already in hand and the remainder in negotiation, it is anticipated that construction will begin in spring of 1907. The railroad has spent $2,000,000 on the property, in one of the oldest sections in the city with many structures dating from just after the Chicago fire in 1871. Another $2,000,000 to $3,000,000 will still be spent on the remainder of the property with between $12,000,000 and $15,000,000 needed to build the great station itself. The plans, drawn up the architectural office of Frost and Granger, will “bring to the patrons of the railroad the conveniences and the facilities which they have been without and always would be without on the present Wells Street site.” The station on Wells Street north of the river was built in 1882 when the railroad had only four dozen or so trains arriving in or leaving the city, carrying about 4,000 people a day. In 1906 the road carried 45,000 passengers a day or 24,000,000 people a year. A singular advantage of the new station will be its location on the west side of the river, which means that trains will no longer be delayed by the raising of bridges and passengers will be able to access the station from five different streets, rather than having Wells Street and the bridge across the river as the only path to the trains.